The ipc appliance is easy to adjust by the patient or patient’s guardian, making it a very efficient choice of creating force. Advanced 1mm “click” at a time for accurate predictable activation. The ipc is extremely comfortable compared to other components available. 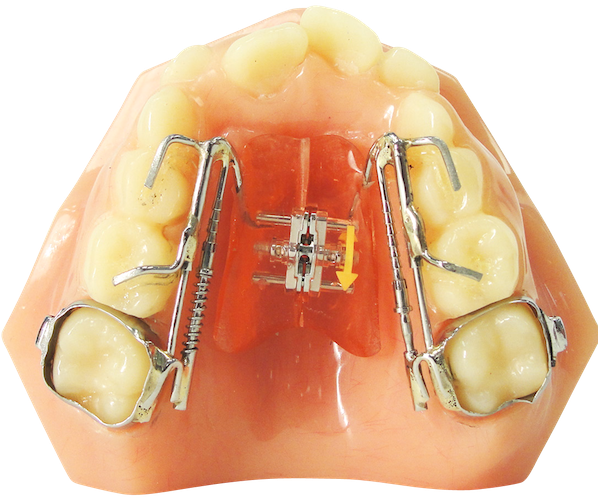 The ipc distalizers provide effective distalmolar movement and limits mesial movement through the incorportation of a nance button. 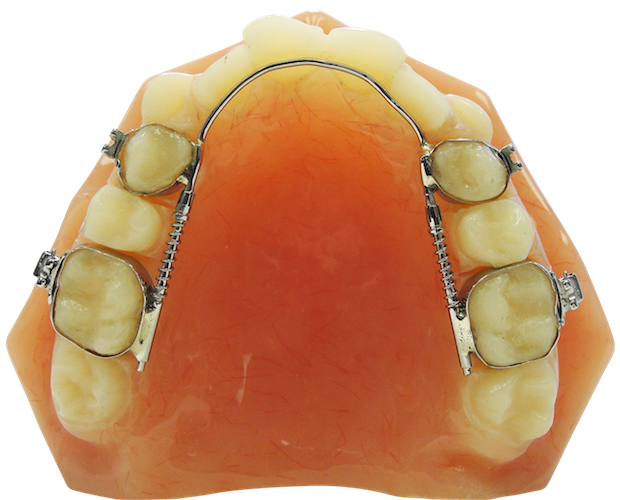 It extends tubes to guide the max 1st molars during distalization. 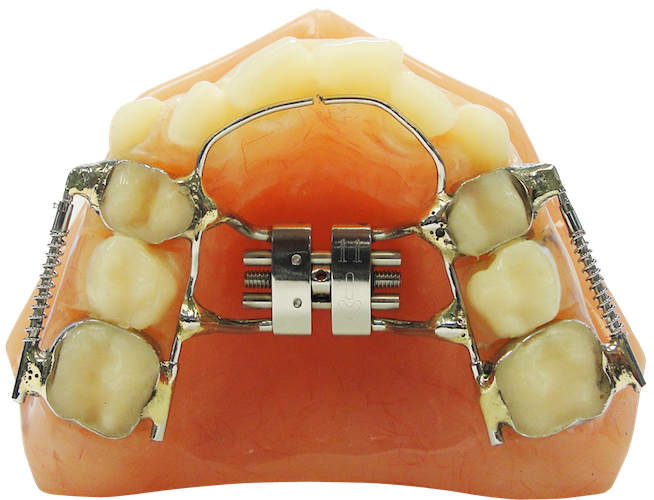 The activation is done when compressing the niti open coil springs agains the molar tube. Ipc is great holding power, easy to activate and it wont back up!